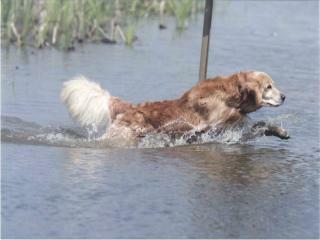 Tug is Springcreek Golden's very first Champion! 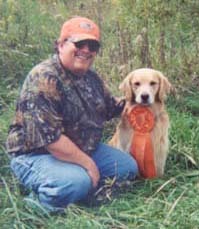 Tug finished with THREE four point majors and in grand style at the Des Moines Specialty, handled by his good friend Jeff Van Engelenhoven. 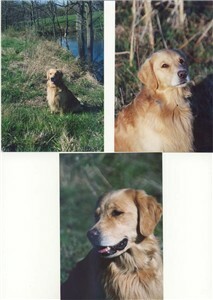 Tug is loved and owned by Dana and Diana Oaks. 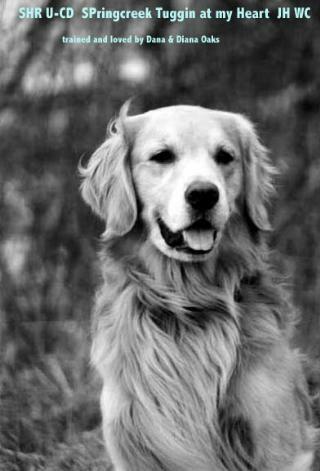 Diana began showing him in conformation as a pup, then he took a break while Dana began field training and obedience training. 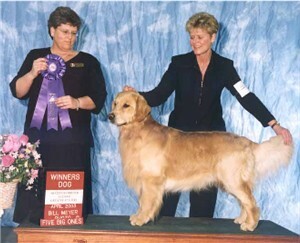 He returned to the conformation ring and picked up a four point major at the 2003 St. Louis Specialty owner handled. 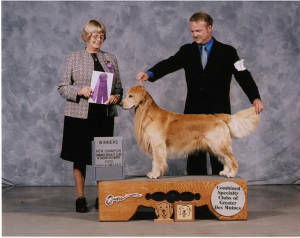 Tug has been known to finish competing in the obedience ring, receive a quick brushing, and enter the conformation ring. 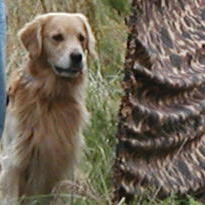 He and Dana continue to train for competition in obedience, agility, and in the field. 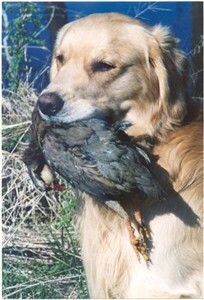 They even hunt a few pheasants for fun. 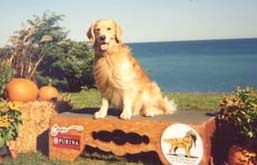 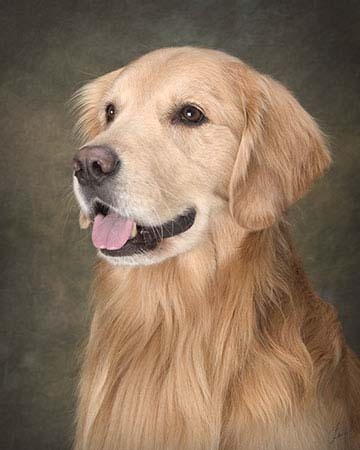 Tug earned his WCX at the 2005 Golden Retriever National. 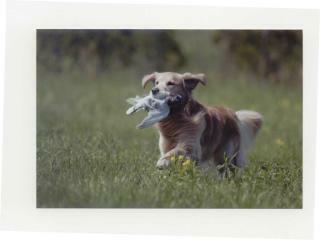 Click to view pedigree and clearances.